City shorelines tend to be a problem when it comes to the design and maintenance of public spaces. With all that water and sand to contend with theses areas are often left as concrete slabs cut through by periodic access stairs. Take this beach, the one and a half kilometer long promenade originally ran side by side with a four lane thoroughfare and a series of ground-level parking lots. An attempt to improve the strip in the 1970's led to the years of degrading paving and a concrete sea wall which obstructed both views of the beach and physical access. The infrastructure made the beach hard to use, yet another example of public space being ruined by too little consideration. 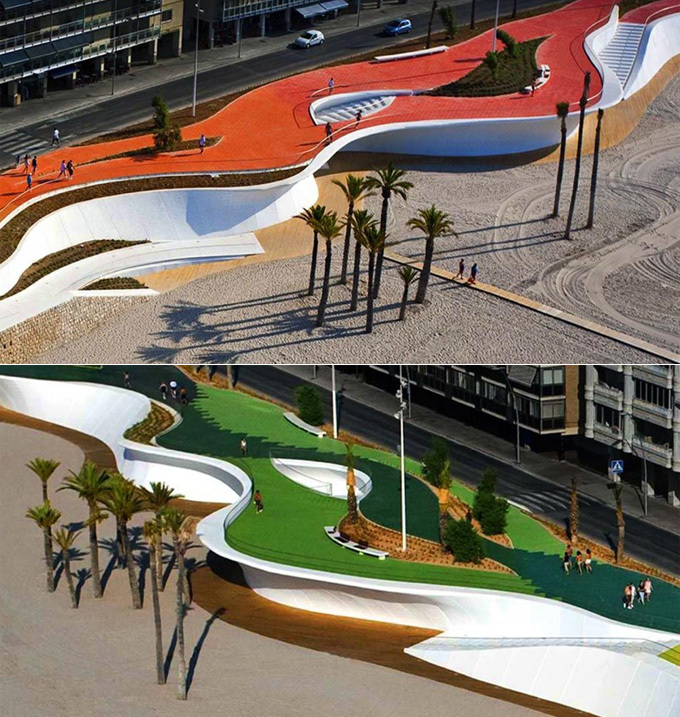 When the city of Benidorm, in the south of Spain, held a design competition to spruce up the promenade after committing ten million Euros to the project, this eye-catching beauty was the result. 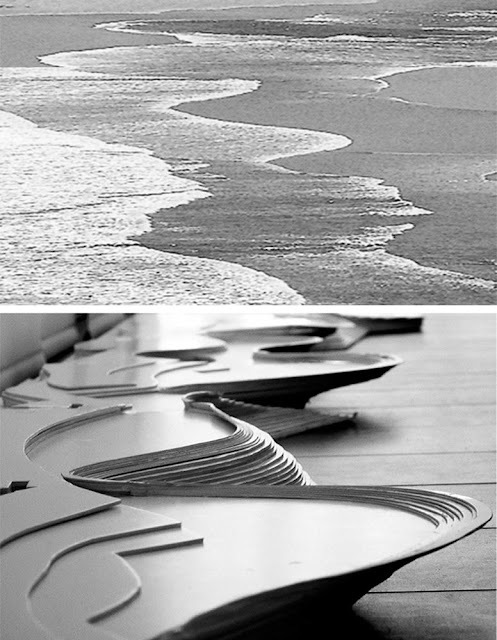 The city wanted a potent solution to reinvigorate the space, improve the public use of the beach and create a visual relationship between the beach and the juxtaposed office high rises. Amazingly, thats just what they got. 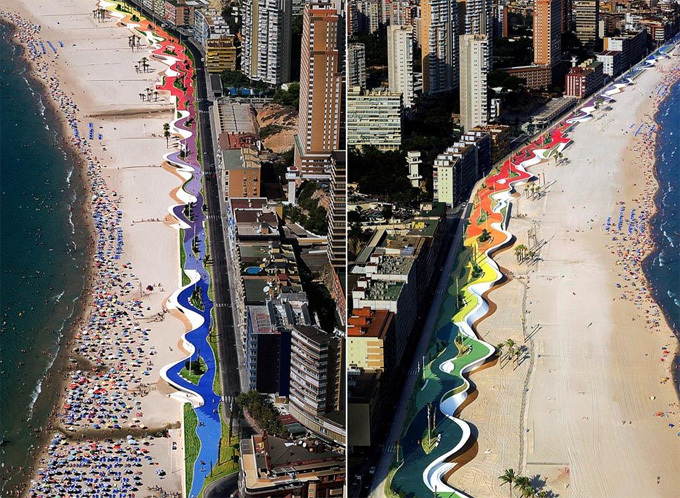 The new promenade uses a rainbow of colors and curves reminiscent of the surf itself to bind the two spaces together. Colors add visual prominence to the walk way when seen from the neighboring sidewalks and store fronts inviting pedestrians to cross the street and enjoy the view. The diagrams and models shown above illustrate how the serpentine from reflects and thus eases the transition between the urban space and the natural one. If you want to know more or see other public spaces that have been similarly improved through the use of color and architectural intervention visit Public Space, the European Prize for innovation in public space architecture.